After sending out emails to academy members to convince them to vote for his film, the producer of The Hurt Locker is banned from the Academy Awards this year. According to emails printed by the LA TImes, producer Nicholas Chartier asked voters to “rank The Hurt Locker at No. 1 and Avatar at No. 10 for for this year’s best picture,” the AP reports. The two movies are this year’s top films and it is likely Hurt Locker could beat out the $500 million film. 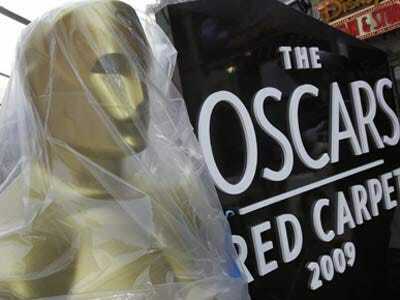 If this is the case, Chartier will be able to receive an Oscar, just not pick it up at the ceremony this Sunday. My naivete, ignorance of the rules and plain stupidity as a first-time nominee is not an excuse for this behaviour and I strongly regret it. But it is likely that not everyone is upset as Chartier might think. ABC, which is airing the Oscars this Sunday, attempted to increase the show’s audience by expanding the Best Picture category to include more films. Chartier’s scandal may be just what the network needs to get those key extra viewers to tune in and see if the producer wins.